Home > Blog > Discovery – what is it? Litigation involves a phase called “discovery.” During this time, the parties can request and exchange information related to the case. There are several elements of discovery – interrogatories, requests for production of documents or inspection, requests for admission, depositions, and subpoenas. The following is a brief explanation of each according to the Arizona Rules of Civil Procedure. There are two types of interrogatories that a party can serve upon the other party – uniform interrogatories and non-uniform interrogatories. 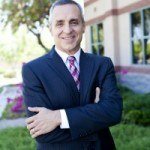 Uniform interrogatories are questions and requests set out in the Arizona Rules of Civil Procedure. There are uniform interrogatories for medical malpractice cases, personal injury cases, and contract cases. Non-uniform interrogatories are questions and requests written by a party specific to the case at hand. A party is limited to 40 interrogatories to serve on another party. This includes both uniform and non-uniform interrogatories. A party can serve more than 40 interrogatories only if the other party stipulates to the additional interrogatories or with leave of the court after showing good cause. A party can request that another party produce designated documents or electronically stored information. A party can also request permission to inspect property under the same rule. The requests must identify the individual items or specific categories requested. The parties cannot request more than 10 items or categories without a stipulation or leave of court. A party may prepare written requests for admission. The other party must then admit or deny each statement. These requests can involve statements of fact or the application of law to fact. They can also involve the genuineness of documents described in the request. A party has 40 days to respond to a request for admission. It is important that a party respond within 40 days because the statement will be deemed admitted if an answer or objection is not provided within this timeframe. A party is limited to 25 requests for admission unless agreed to by the parties or ordered by the court. During discovery, a party may take the deposition of any party or expert witness. A deposition is an oral examination during which someone gives their testimony under oath. Depositions of people other than parties or expert witnesses may be taken only upon agreement of the parties or by court order. Under the Arizona Rules of Civil Procedure, depositions should not be longer than 4 hours unless agreed to by the parties or by motion to the court. Depositions are recorded by a court reporter and may also be recorded by audio or audio-video means. Parties to a lawsuit can also use subpoenas to obtain information from non-parties to the lawsuit through testimony at a hearing, trial or deposition or by producing documents. The subpoena must be issued by the court and will state what the non-party is required to do, including the time of appearance for a deposition or the deadline to produce documents. The law provides specific limits to the power to subpoena a party. As a result, depending on its requirements, a party subject to a subpoena may have legal grounds to object to it. Discovery - What is it? If a party does not cooperate during discovery, the other party can seek relief through a motion to compel. After personally consulting with the other party and other good faith efforts, a party can file a motion to compel with the court to require that another party comply with discovery requests. During discovery, a party may also move for a protective order to protect itself from “annoyance, embarrassment, oppression, or undue burden or expense.” Ariz. R. Civ. P. 26(c). The court may enter a protective order that does not allow the discovery, that limits the scope of discovery, or that provides other means to protect a party as justice requires. Protective orders can be used to protect confidential information and trade secrets or other sensitive information. There are many nuances in the discovery process, so it is important to understand the applicable rules. 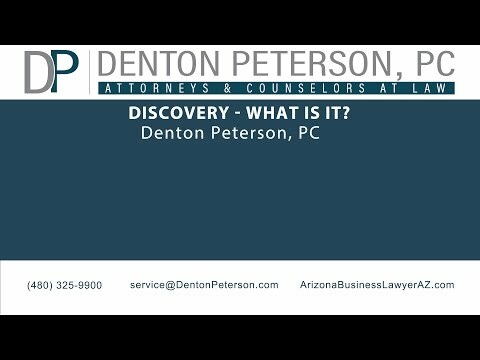 An experienced litigation attorney at Denton Peterson in Mesa can walk you through the discovery phase of litigation. 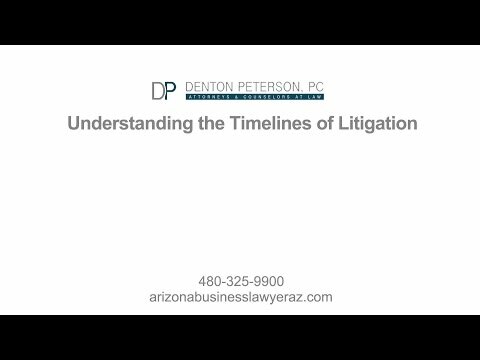 Contact the attorneys at Denton Peterson to find out how we can help with your litigation needs.